We have some fun products to introduce today that we just know you will love! 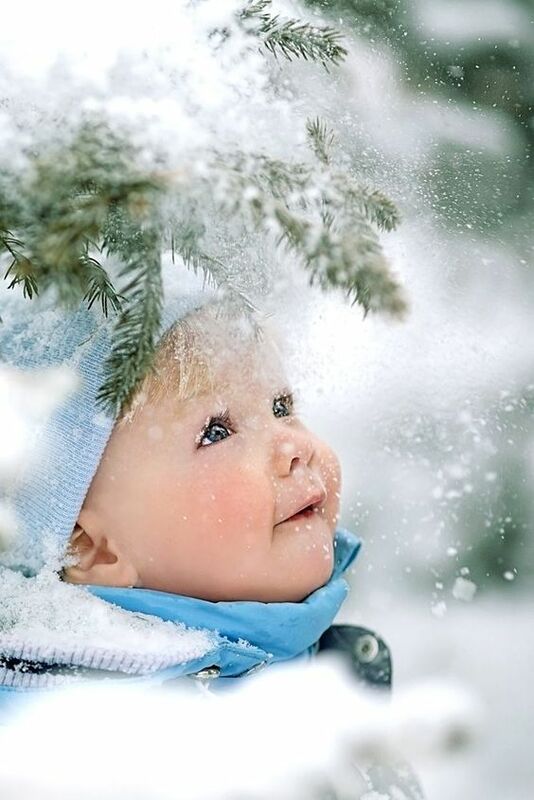 Who's heart doesn't melt when they see kids bundled up in their cozy snow gear? And I think it is safe to say that everyone loves text backgrounds, especially with a whole new twist! If you loved playing with paper dolls as a child, here’s your chance to enjoy them all over again in your paper crafting! The Dress Up Dolls: Winter Fun set coordinates with the Dress Up Dolls: Basics set and contains lots of fun accessories to get your Dress Up Dolls ready for some wintertime fun! This set includes head-to-toe winter gear, a shovel, a pile of snowballs, and even a little snowman. You can use the Dress Up Dolls: Basics and the Winter Fun sets along with their coordinating dies to create your very own set of paper dolls, but of course they’re perfectly at home on cards, tags, party invitations, and wraps, too. Mix and match the accessories across the entire Dress Up Dolls line for endless fun! 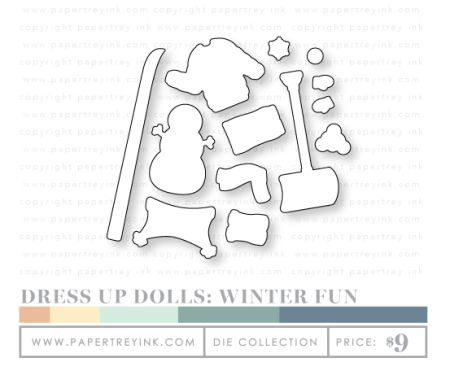 Dress Up Dolls: Winter Fun will be available for purchase on November 15th. Dress Up Dolls: Winter Fun contains a total of 14 images. The assembled dolls wearing head-to-toe outfits measure 2” wide and 4” high. The shovel measures 1” wide and 2-1/4” high. The snowman measures 1” wide and 1-1/2” high. The “…delightful” sentiment measures 1” wide and 5/8” high. Fill In the Blank is an absolutely must-have basic that will take your backgrounds to a whole new level. Is this a background stamp set? Or a sentiment set? How about a clever faux-masking combination of the two? Text blocks with blank areas and separate corresponding sentiment stamps and dies allow for all sorts of possibilities when you play with combinations and colors. 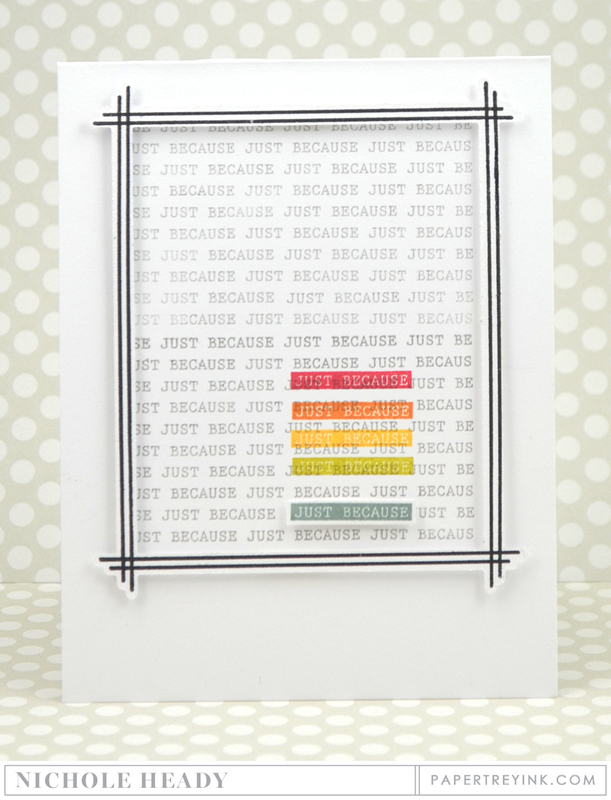 Fill in the blank with the matching sentiments and it will looking like you are a masking pro. People will be wondering how you did it. Just smile, bask in the accolades, and hide your basic stamping supplies from view. Nobody needs to know all the work was built into the stamp set, leaving you to have all the fun. Fill in the Blank will be available for purchase on November 15th. It will retail for $18. Fill in the Blank contains a total of 15 images. The three text blocks measure approximately 3" x 2". The long frame side measures approximately 4-1/4" by 1/8" and the small frame side measures approximately 2-1/2" by 1/8". The "thank you" sentiments measures approximately 3/4" x 1/8". The "Thinking of You…" sentiment measures approximately 1-3/8" by 3/8"
A coordinating die/collection will be available for sale separately, retailing for $12. This collection includes a total of 7 dies. Large Bracket Frame: 3-3/4" x 4-1/2", Small Word Collage Frame: 3" x 2", Large Double Lined Text Rectangle: 1/2" x 1-1/2", Small Double Lined Text Rectangle: 1/2" x 1", Largest Single Lined Text Rectangle: 1/4" x 1-1/4", Medium Single Lined Text Rectangle: 1/4" x 1", Smallest Single Lined Text Rectange: 1/4" x 7/8". The newest accessories for the Dress Up Dolls are just as sweet as can be, especially when you pair them up with fun embellishments like pompoms! I used a needle and thread to string pompoms and attached the ends to the back of this die-cut frame. How fun is that? And easy! The little girl is colored with Copics in a fun mix of Winter Wisteria, Green Parakeet and Tropical Teal. This would be a wonderful birthday card or something to enclose with a gift to beat the winter blues! I also used the new Dress Up Dolls: Winter Fun stamps to create this easy keepsake ornament that has been personalized, perfect for adding to a gift. By pairing the doll up with a cozy background and some alphabet/number stamps, I easily put this together in just a few minutes. There are so many ways it could be personalized, from monograms to nicknames, the date, noted milestones and more! I added a few shaved ice flakes inside to serve as a fun shaker element. You could inexpensively make these for every child on your list! I'm in love with Erin's new Fill in the Blank set. There is a blank space in each text block to add the same repeat sentiment with a pop of color or other technique. I doubled up the birthday block here and heat embossed it in white on Kraft cardstock to create the main part of the gift. 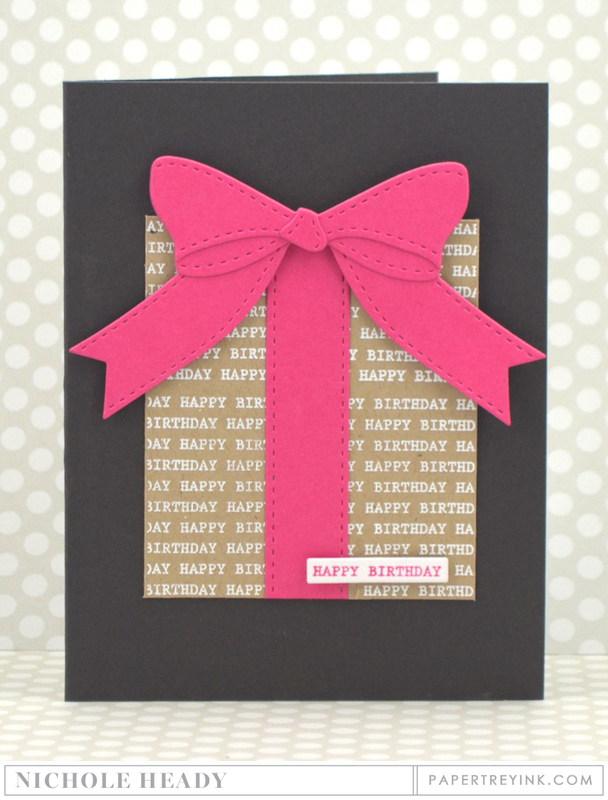 This is topped with a new die-cut bow that you will be seeing more of throughout the week! I stamped the sentiment on a die-cut white block that fits perfectly in the "blank" left in the text block. I used Raspberry Fizz ink to help create a visual triangle with the bow. All of this was attached to a Smokey Shadow card base. I think this has a nice sophistication that would be great for adults! I have one more project for you today using Fill in the Blank. I stamped the Just Because text block twice using Stormy Sea ink. I filled in the blank spot for the top block with Stormy Sea so it disappeared. For the blank spot in the bottom block, I added the reverse option for the sentiment stamped in Ocean Tides. I then added a rainbow of the the same block stamped above it for some color pop. The frame elements included in the set are a great, simple basic that helps take any project up a notch! We would love to hear your initial thoughts on everything we introduced! Please leave a comment on this post to tell us what you think of the new products and you will be eligible to win big! You have until 7am ET, Friday, November 11th to leave your comment and be eligible to win. Only one comment per person please. One randomly selected winner will be announced on our November Release Winners Page before noon ET the same day. Thank you for stopping by today and best of luck with the contest! Betsy Veldman will be featuring Dress Up Dolls: Winter Fun. Ashley Cannon Newell will be showcasing Fill In the Blank. Lizzie Jones will be highlighting her new For You collection. 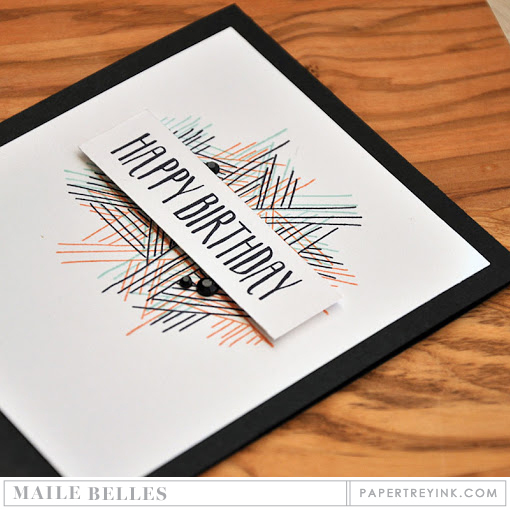 Maile Belles is sharing projects made with her new Splits: Happy Birthday set. 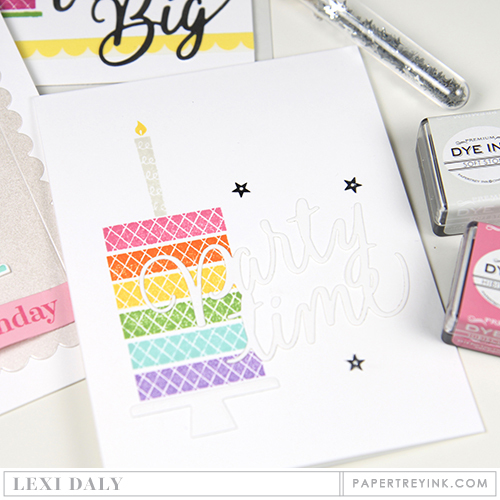 Lexi Daly is giving you a peek at her Invitation Basics set. The dress up dolls’ puffy coat is so adorable! I am curious to see more of Fill in the Blank. The new dress up dolls are adorable! I love the puffer coats and the “jester” hats! Love the paper dolls! The versatility of “fill in the blank” is great! Let the fun looks begin! Wonderful as usually. Fill In the Blank looks very neat. I adore the new Dress Up Dolls set, especially that two-tasseled hat! I think that “Fill in the Blank” is a super useful set, and I can’t wait to get my hands on it! “Fill in the Blank” has me anticipating a great addition to my PTI stock. I have no passion to stamps with people, BUT! These set for dress up dolls!! It’s perfect!! I like it!! The dress up dolls look like my children here! Like Ashley’s use of fill in the blank….will have to come back & check out nichole’s projects later. The dress up dolls are so fun! Fill in the blank dies look fun to play with! I am very intrigued by the Fill in the Blank dies. I’m also very excited about the vertical Noted dies!! I love the for you die collection! I cannot wait to get my hands on that! So many things you can do with it! Fill in the Blank looks so cool! Looking forward to seeing the whole set!! What a great star to a great release! What intriguing collections! The background stamp set looks amazing! The dress up dolls are absolutely adorable! I love the puffy coat and those boots are soo realistic looking! A great way to start off the release! Thanks for the opportunity to win! The little dress up dolls are very sweet. Also love the soft florals. Very nice new products and thanks so much for your contests and challenges! Fill in the Blank looks very versatile; looking forward to seeing more! Can’t wait to see more samples with the Fill in the Blank set/die. 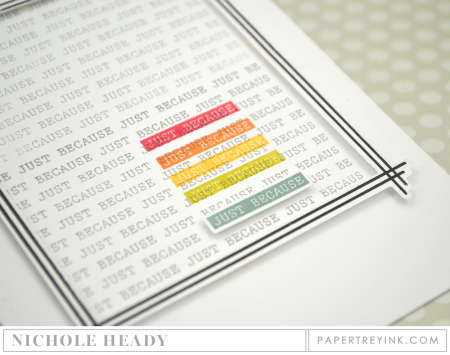 Fill in the blank and looking forward to the new Noted A2 frame dies are great basics – can’t wait. Love the Fill in the Blank dies and stamps! The costuming of the dress up dolls is wonderful! Puffy coats and cute cute snowy items, just adorable! Really want to see more of the ‘blank’ set! LOVE the fill in the blank idea! Looks like another great release ahead! Loving the dress up dolls series. And the full in the blank products seem easy and fun! I’m so excited to see the new Vertical Noted dies and the Fill in the Blank set!! Love the new additions to Dress Up Dolls. Thanks to all for sharing their creations. So excited about the Fill in the Blank set! Can’t wait to see the other new goodies! Fill In The Blank is on my list! You can never have too many sentiments. I like the Fill in the Blank and the For You sets. The frames that were introduced in the sneak peek are of interest too. Looking forward to seeing more! 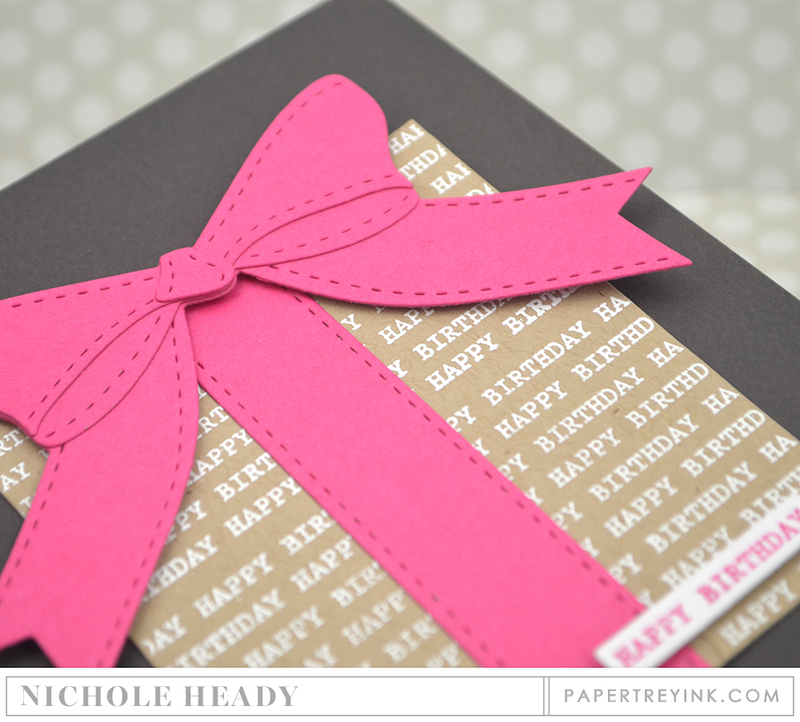 Those pretty birthday tags sure are festive! These dolls take me back to my childhood! So cute. Adorable! Looking forward to the 15th! The Dress Up Winter Fun set is so cute! Can’t wait to see more. Loving the dress up dolls! Love the Dress Up Dolls addition, and Fill in the Blank looks fantastic! The Fill in the Blank is unique will need to see more done with this set. Will have to come back to see Nichole’s projects. The dress up dolls are so adorable! I must say I’m wanting more info about the ‘fill in the blank’ set from the other day … LOve the text idea to create fun backgrounds. Oh who am I kidding… I LOve them all! Love the Fill in the Blank….very clever! So cute! Can’t wait to see what comes tomorrow! It’s the most wonderful time of the month. Interested in seeing more Fill in the Blank projects! Love the dress up dolls and the colors used in the sample. The little snowman is so cute. Those winter dolls are so cute! That snowman with the Dress Up Dolls is so cute! Can’t wait to see the full reveal! I always loved to play with dress up dolls when I was a kid and am tickled you’ve brought them back and have added these fun winter goodies! Very cute wintertime outfit for the dress up dolls. I look forward to the new dress up dolls stamps and dies each release and they never disappoint! Love Winter fun! The dress up dolls are adorable. Love the birthday tags! Can’t wait to see what you have the rest of the release. Can’t wait to see what’s coming this month! Those Dress Up Dolls get me everytime! So adorable. 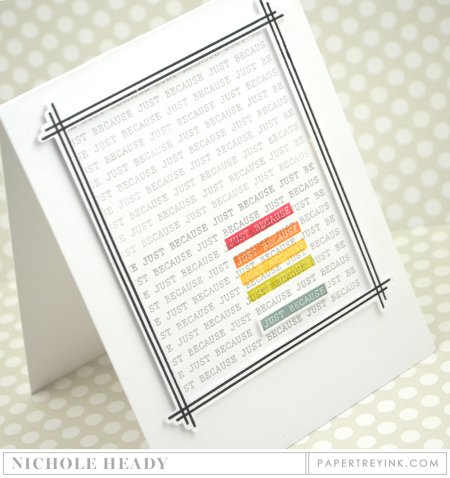 I’m also loving the peek at the A1 Vertical Noted dies. I am not a huge fan of winter but I just love the Dress up Dolls stamps. So very cute. Loving those Birthday invites. Great projects today. Thank you. Such cute products to play with!! 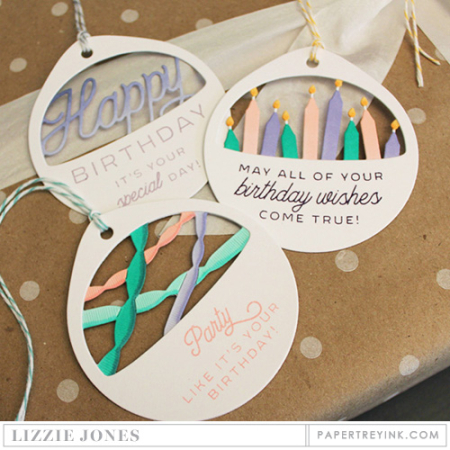 Love the birthday tags from Lizzie, but can see so many other options for these dies. Intrigued by the rest of the sneak peeks and cannot wait to see more. Fill in the blank looks very interesting! Excited to see more! Like the looks of the For You collection — it’s always great to have an easy tag that looks special! I like the simplicity of the Fill in the Blanks die set. I like sets that can be used for many different cards. Curious about “Fill in the Blank”. The dolls are of course adorable. Looking forward to seeing what the Design Team tempts us with using Fill in the Blanks. Fill in the Blank looks so versatile for so many different projects, and I’m excited about the 3 basic sentiments it includes. All of them will get a lot of use on my cards! The winter dress up is amazing and the newest birthday tags are another perfect stamp set and dies my collection needs. LOVE the new dress up dolls set!!!!! Loving the fill in the blanks and notes dies! Great day one of November release! I am loving the fill in the blank dies and stamps!! The dress up dolls are amazing!!! Love the shovel and the skiis! Fantastic creations and products featured today! I am really looking forward to the For You Collection! Fill in the Blanks is a great idea! I can’t wait to see more of this set-sounds like a must have! Love the variety and creativity of these sets! The Vertical Noted Dies – SWOON!!!! I’m looking forward to seeing more “Fill in the Blank.” It looks like it may be a useful set. Fill in the blank looks very interesting. Love the cute dress up doll winter outfits. Love all the new things! More cuteness for the dress up dolls! I really like the For You tag dies that aren’t just for Christmas! Love the Fill in the Blank set! Those kid things are pretty cute also. So FUN! Your products are always so perfect. And I have to say that your ‘inspiration photos’ are as equally beautiful! Fabulous cards! Fill in the Blank…that one sounds very interesting. Can’t wait to see it. Fill in the Blank is a cool idea, love the For You tags, too! Those puffer coats!! So cute. I really like Fill in the Blank. I always appreciate the thought PTI designers put into their sets – and can’t wait to see more of the A2 Vertical die set!! The fill in the blanks stamps and dies look very interesting! All super-cute this month — but I expect nothing less from the amazing PTI! The Fill In the Blank set looks terrific! Have it marked to buy on the 15th for sure. Fill in the blank looks like a fun concept. 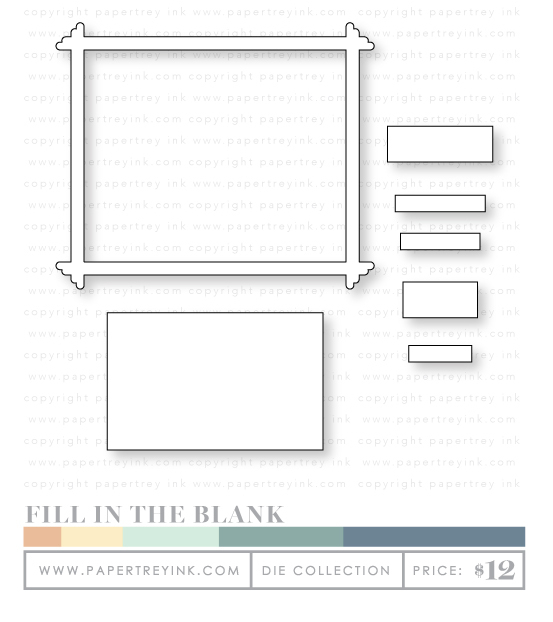 I so need Fill In The Blanks….it is fast and quick inspiration for card making. Love it! Love the text backgrounds and fill in the blank dies! Looking forward to seeing more of Fill in the Blank. The dress up dolls are always awesome. I wish I had granddaughters. Loving this fun winter release. I am most excited about Lizzie’s peek-a-boo ornaments. PTI, you are always so innovative! I like everything! So cute! I love the new addition to the dress up dolls! As always, I love the new products!!! Waiting to see what is yet to come in November! That Fill In The Blank set looks like it will be fun!! My paper dolls collection will definitely be growing! Love the little puffy coat =) Betsy, you’re creativity is amazing! Fill in the blank dies and stamps are full of possibilities!!! Love the new supplies today, and the DT samples are so pretty, as usual. Can’t wait to see Niccole’s projects, too. The dress up dolls are fabulous! I was excited when I saw the peeks for Fill in the Blank, and can’t wait to see more projects using this from the DT! These die cuts are the cutest. Love the projects with all of these. Awesome! Love the puffy jacket! The hat is pretty cute too. 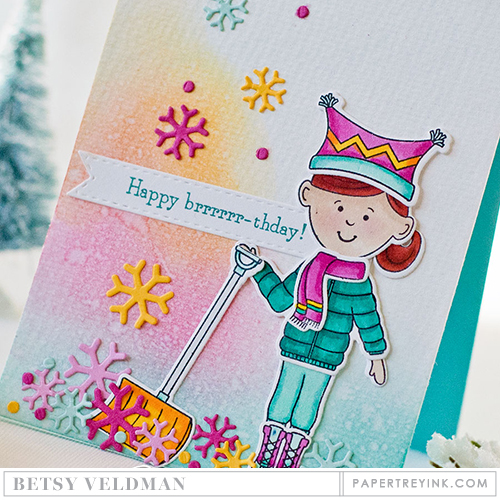 I love the new Winter Fun paper dolls and the birthday tag dies! I have the Christmas ones and they are so much bigger than I had thought they’d be and are just a wonderful tag to put on gifts! To have the same thing for celebrations and birthdays is awesome! Fill in the Blank looks very useful in may occasions. Looking forward to the rest of the release! Oh wow! Such delightful projects!!! Too cute!!! Love the dress up dolls…glad for another addition to this set! This one is just as cute as the others. Loving the Winter Dress Up dolls and excited to see more of the Fill In The Blank set! The new birthday tags are awesome! Love the fill in the blank idea! Love the fun winter accessories for the Dress Up Dolls! Great projects from the DT. Love the Fill in the Blank set!! And the paper dolls are adorable!! A great start to another fabulous release!! The dress up dolls are cute but Fill In The Blank also looks great. I love background stamps!! yeah!! Those little dress up stamps are so cute…wants me to have littles again! Love the tags! Can’t wait to purchase. I need the Winter Fun dress up dolls to add to my collection! So adorable! I like Ashley’s project for today. Looking forward to seeing the whole set. Another adorable Dress up Dolls set! I’m headed over to the DT blogs to see what this Fill in the Blank is all about. Looks intriguing. Love those half circles! The new “For You” collection is a great addition to my collection of tags! Looking forward to the release of the Fill in the Blank set and the vertical Noted, plus the rest of the countdown goodies and examples. I can’t wait to see more of this release! Oh I am so EXCITED about this new release!!!! These Dress Up Dolls are the cutest yet all bundled in puffy jackets and boots with those clever hats. Eager to see more of the A2 dies and Fill in the Blanks! This new release is awesome!! Wow! Wonderful new products! Love them all! Love the text set and Lizzie’s new tags too! Oh Betsy! You have done it again, so absolutely adorable. Thanks for always making us smile. I am LOVING everything in this new release!! The Dress Up dolls makes up the cutest card designs. PTI never disappoints. My wish list keeps expanding! Loved last months cut away tags & now these! The next text background is so fun & totally different than what I have–thank you, PTI! For You is such fun! I love being able to create wonderful tags for gifts and these would be perfect! I love the new fill in the blank dies. Great idea! Dress Up Dolls:Winter Fun and Fill in the Blank look fabulous! Can’t wait to see more! Love the samples! Looking good on the first day, can’t wait to see it all. The Fill in the Blank set is intriguing; can’t wait to see more! Thrilled to be getting the Noted dies in the vertical orientation! LOVE! Wow! The collection of dress-up dolls coordinates just keeps growing! Everything looks great! I am looking so forward to the 15th! Cute dress up clothes – just right for the winter season. Fill in the Blank is a cool concept and I’m excited to see the full reveal. wonderful and gorgeous! those tags are just amazing as are the Christmas version. Beautiful cards and projects by the design team! Love the new birthday tags!!!! Really intrigued by the Fill in the Blank set, off to check out the samples! Fill in the Blank is intriguing – I’m interested in how the team will use it. Dress Up Dolls are always fun, and I love the cards that are made using the set. The Fill in the Blank stamps sound interesting! Can’t wait to get the Fill in the Blank set!! Super useful! Fill in the blanks looks intriguing- can’t wait to see more! Great projects with so many new goodies. Can’t wait to see the full reveal. I especially like Fill the Blank and your ornament! The dress up dolls are to cute, but my favorite is the fill out n the blank set by Erin. LOVE Fill in the Blank! Can’t wait to see more! Love the latest in the Paper Dolls line up – definitely going on my list! Both of Nichole’s ideas for the dress-up dolls are so flippin’ cute! And that Fill in the Blank set is definitely going to be in my cart on the 15th! The Fill in the Blank stamps and dies look great! What adorable Dress up Dolls and I am loving the Fill in the Blank! Love all the projects, too! I’m looking forward to seeing more with the Fill in the Blank sets – looks very interesting! Off to a wonderful start on this first day! I think I am picking out some Christmas gifts for myself! Love how you used that pom pom trim. A2 frames are sure enticing me already! It’s going to be another great PTI month! I have all of the dress up doll items and can’t wait to add this one to the collection. The Winter Dress Up Doll set is just too cute!! The Dress Up Dolls are so cute and intrigued by the Fill in the Blank set – can’t wait for the full reveal! The newest addition to Dress-Up Dolls is so cute. Love it! The new Dress Up Dolls are darling! Love the Fill in the Blank set! I can think of lots of ways to use it. Looks like another great release! I am intrigued by the Fill in the Blank set. Would love to see a Make-It-Monday video on that one. The new items are sooo cute! Love the background text stamps and the fill in the blanks. As always you and the team are showcasing the new products is so many fabulous designs. 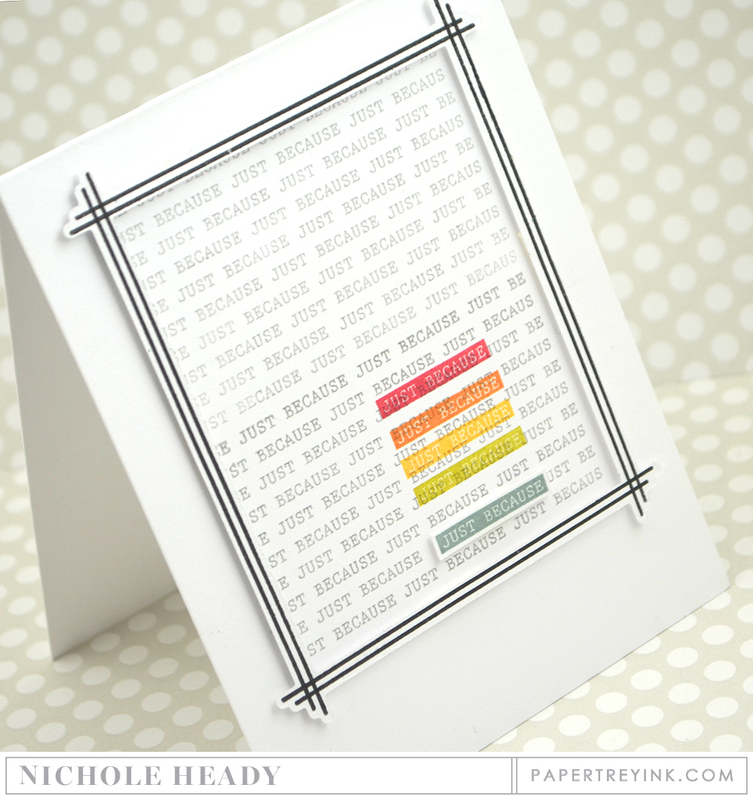 Love the Fill in the Blanks Stamps and Dies – can’t wait for that one!! Lovely work with lovely products, so inspiring!!!! Fill in the blank stamps and dies look to be very versatile. Great start to this month’s release! The dress up doll addition of this release is so cute. I love the winter edition. Oh those dress up dolls are so fun! Very intrigued with the Fill in the blank. Fill in the Blanks looks like so much fun to play with. Love the Fill In The Blank set. I can see so many uses for my cards with this set. I am curious about the Fill in the Blank. Very creative. The winter dress up dolls are so cute! Off to a fun start this month. Loving the Fill in the Blank set, so many fun technique possibilities. Fill in the blank is a must have set for sure! I love your pom pom snow too. Great cards!! Love the idea of using pompoms for snow, and that ornament is adorable! The dress-up dolls are adorable. My granddaughters love playing with them and will love the winter set. The ornament is clever! Can’t wait to see more fill in the blank. So many fun birthday and winter product! The new sentiment backgrounds are fantastic! A whole lot of dressing up fun happening here! Love the showcases! Looking good so far! Fill in the Blank has a lot of potential. What a fabulous release! Endless possibilities! One can never have too many birthday items. The dress up dolls…so sweet! I love the idea of these fill in the blank stamps and dies. And the frame looks like a great basic! I love the tags. I like making the ornaments for gifts. I would like more 3D ideas. Great products as always. Winter and birthdays are my favorite themes for crafting. So interested to see more of the fill in the blank set! I love the latest addition to the dress-up dolls series, the little snowman is adorable. Excited to see more about Erin’s latest set – the panel of text will make awesome backgrounds. Fill in the blank…endless possibilities!!! love the Dress Up Dolls Winter Gear!! Betsy’s dolls are awesome!!!! Cant wait to see the fill in the blanks in action! The dolls are always so cute! Love the idea of personalizing the ornament too! Cute projects. I can’t wait to see the rest of the release! Love the dress up dolls! Fill in the blank is a great concept! love it! Looking forward to the sneak peeks and all the fun things the DT makes with the new release! So excited! Love the Fill in the Blank stamp, it will be nice to highlight the sentiment. fun start to this month’s release!! Loving the new dress up dolls set! Erin’s new set of fill-ins looks intriguing! I’m looking forward to seeing more ideas using fill-in-the-blank! Fill in the blanks look awesome. I’m very interested in the Fill in the Blank stamps and dies. Lots of possibilities! The Dress Up Dolls are a such a clever concept and it’s always fun to see what Betsy dreams up for them. 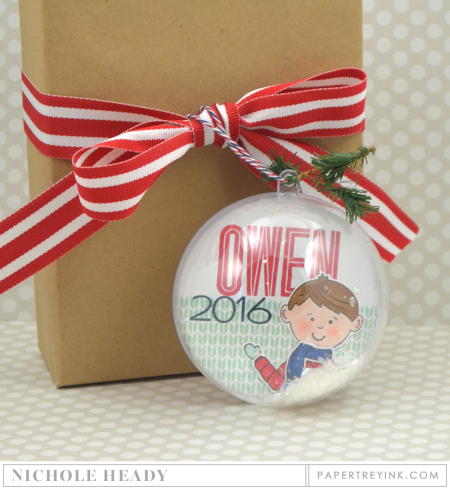 The personalized ornament is the perfect way for a novice to get started making cute gifts with the set. Love the birthday theme. 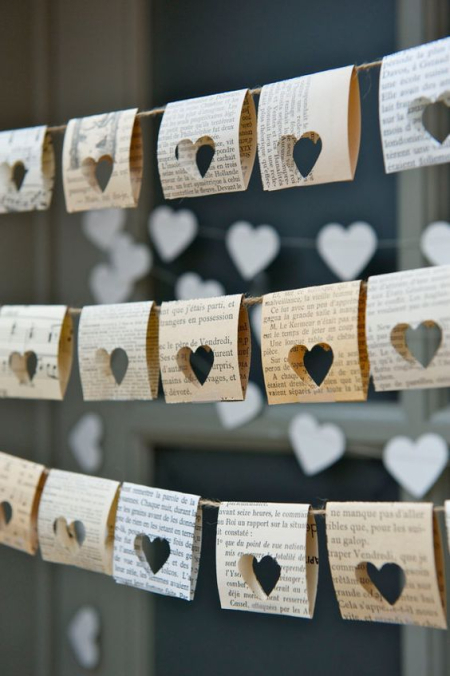 The tags are so cute and perfect for gift giving or the focal point of a card. Such great inspiration today with great new products. The “Let it Snow” card with the pompoms is sooo cute & unique! Love it!!! Love everything! Can’t wait to see more! Fill in the blank dies look fun. Can’t wait to see more samples. That Fill in the Blank set is awesome! and I love the new Dressup Dolls! Those dress-up dolls just keep getting cuter and cuter! I Cannot wait for this release. I love it all. I’m intrigued by the new “fill in the blank” line. I love the winter doll outfits! Too cute! Great samples ladies! I’m liking the Fill in the Blanks. It looks versatile. Like the new bow die also. Love the pompom idea! So cute! I love the Fill in the Blank dies and stamps. Thanks for the chance! Yay! My most favorite time of each month! What fun new products & lovely inspiration! I love the “Fill in the Blank” and the new bow. So excited for the new Noted Vertical dies, the new Splits set and the Dress Up set is too cute! Loving the possibilities of Erin’s Filling in the blank set especially that big bow. So detailed and so post friendly! The Fill in the Blank dies and stamps are a must have. Thanks for sharing the start of another great release. Oh my goodness, love these projects! The strands of snowballs are so cute and different! Great start to this month’s release countdown! Cannot wait to see more of the Fill in the Blank dies and stamps. I’m super excited about Fill In The Blank. It looks like a fun set to you!! You always have such fun products! Pom Poms make great snow! The new dress up winter dolls are adorable! Great designs today. Looking forward to more. Gorgeous projects (as always)! Love all of the new products, and can’t wait for release day! The pompom card and your ornament are absolutely adorable. I never thought to use the ornaments with stamp sets other then the petite places…off to check my other PTI stamps! Fab new goodies, love the new dies especially the Fill in the Blank – that’s so clever! The little dolls are too cute. I’m so excited for this release!!! Another cute Dress Up Dolls addition! Love the fill in the blank set too. Cute cards, love the Bow die cut!!!!!!! The Fill in the Blank sets have me curious. I know it’s will be on this months wish list. But then again everything PTI is on my wish list. It’s a really long list. Love the Dress Up Dolls and all the wonderful examples! Always love new releases! Always loved making my own paper dolls. What easier way than the adorable papertrey cuties! Love Love Love Fill in the blank!! Such a clean and sophisticated design. Must have!! The fill in the blank set looks very interesting. What a nice way to stat off the countdown. Love to see what great accessories the dress-up dolls get every month. Great release today, love all the inspiration. The new Dress Up dolls are so adorable! Also love the Fill in the Blank stamp! Great start to the November release! Fill in the Blank is like Text Style with intent. Great addition. The Fill In the Blank looks like a must have for any crafter! Can’t wait to see all the details. 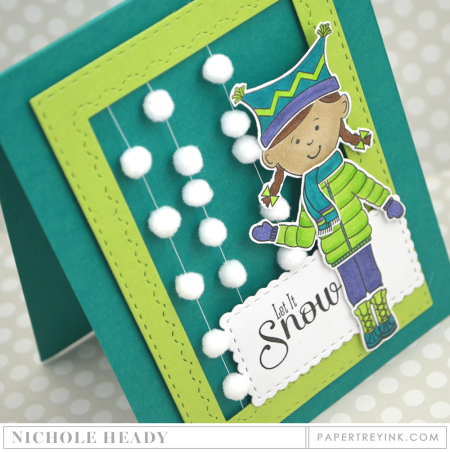 What adorable falling snow pom poms! Love it! Also love the new dress up dolls! Looking forward to seeing more done with fill in the blank. The dress up dolls are adorable and I can’t wait to see more of Fill in the Blank. It’s so versatile! I can’t wait to see more of that text stamp. Not quite sure I get the concept yet but looks intriguing. 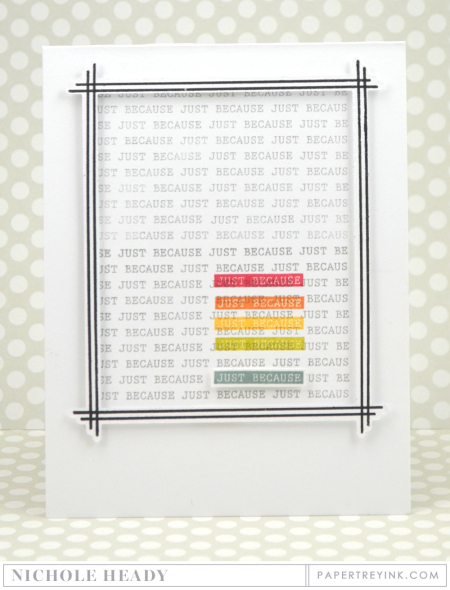 Love the card with pom-poms, and Fill in the Blank is such a clever idea! Fabulous new products today! Everyone did a great job showcasing them! The dress up dolls outfits are perfect for winter. Can’t wait to see what more you have this month! Thanks! Fill In the Blank looks awesome. Just love. Wow, just adorable new products. Enjoying the great inspiration from the team. Just love seeing all the creativity with all the new goodies. Exited for this release. Everything looks so fun. I love those darling paper dolls. That Fill in the Blank looks like an awesome set and a very unique idea! Fill in the Blank has definitely caught my eye! Can’t wait to see more! The sneak peeks are so much fun. I look forward to seeing more. I love the beautiful bow & present. SO many possibilities including DIY gift wrap. The dress up dolls keep getting more fun every time. Fabulous new stamps and dies!! Love the For You tags! I love the Fill in the Blanks stamps and dies. Looking forward to seeing all the options of the fill in the blanks die set! The personalized ornament is brilliant! So very excited about the birthday stuff this month. I love Fill In the Blank! Lizzie’s birthday tags are great. I will definitely enjoy using them to dress up my packages. I love the idea of stringing pom-poms to use as a background. Thanks for all the inspiration, and for the chance to win a gift certificate. PTI is always my favorite craft company! Love those keepsake ornaments! A great idea, and really cute use of the supplies! What a fun addition to the dress-up doll stamps! They get cuter every month. Love the Dress Up Dolls! Love all of the samples showcased today too! Can’t wait to try the new Fill in the Blamk set!! Always enjoy the Dress Up Dolls! Love all the projects today, especially the ornament. So cute! Looking forward to the new Noted A2 dies. The fill in the blank dies are creative. My favorites are the party tag dies & the large gift box & bow. Oh my gosh! The snow pompom card is the cutest thing! You girls have such wonderful ideas, the cards are all amazing!!! I like the fill in the blank dies too! Fill in the Blank is awesome. I love when the design of the stamp set does all the work and I just have to literally – fill in the blank. AWESOME! Love the little hat on the paper dolls snow outfits. Thank you design team. Very intrigued by Fill in the Blank! The dolls super cute – love the pom pom idea! Yay! Another release is here! Love the threaded pompoms with the Dress Up Doll! Those Dress Up Dolls get cuter and cuter! 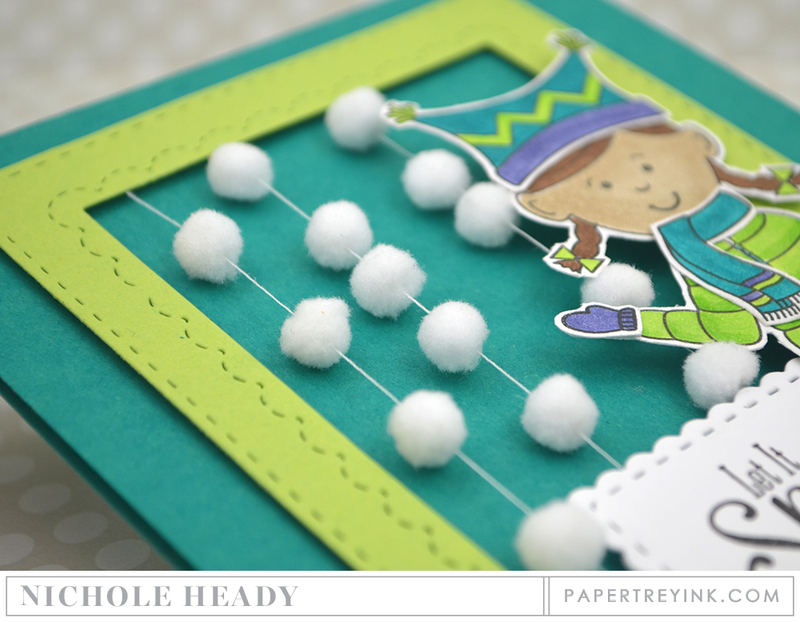 Love your card with the pompoms….so cute!! Loving the fill in the blank!! Fill in the Blank looks great – so versatile! Looks great, love the new products today! Fill in the blank looks like a great set. All are wonderful, of course! 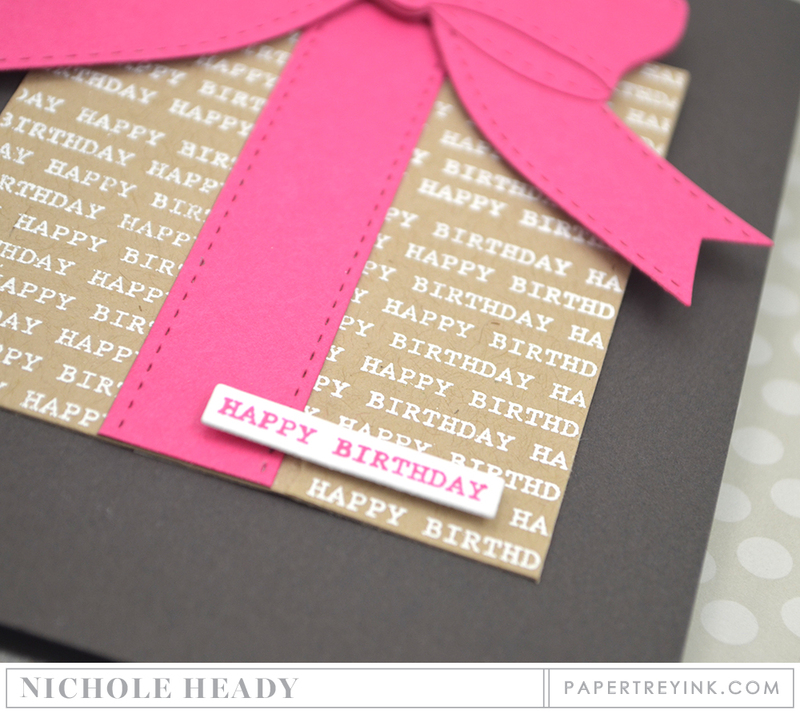 I absolutely love the Fill in the Blank stamp set and coordinating die. I’m also looking forward to the new Splits stamp. So much fun! I love the Fill in the Blanks! just love the dress up dolls, so cute! Dress Up Dolls are so cute and I love the Birthday tags! I love anything that goes with the Dress Up Dolls! And that ornament is SO cute! Love the fill in the blank dies…what great samples! It looks like the Fill In The Blank set is very versatile. Woot! The dress up dolls are irresistible this month. What a great idea. I love the snow shovel. What a great beginning for a new release! The hats for the dress up kids are adorable! Dolls are cute. Looking forward to the Fill in the Blank dies and stamps. Love the fill in the blank set. Love the looks of the new Fill in the Blank set. Looks super versatile! Loving the release so far. The projects are amazing. Off to a good start with the release! I really like that big pink bow! I’m anxious to see more projects with that. Liking the fill in the blanks range, looking forward to seeing whatelse it can do! These project ideas are so amazing it is hard to know what to comment on first! The birthday card with the bow & repetitive greeting is my favorite though! The design would work for any age and looks fantastic in these colors! I love this “fill in the blank” idea and look forward to seeing it used in more designs. So many fun, new stamps and dies! And what a great variety of inspiring cards and projects! I especially love the Fill in the Blanks images! party time is so festive! I love these new collections!!! Love the Dress Up Dolls. So many fun possibilities. I love the Dress up Dolls: Winter fun! Love the dress up dolls! Looking forward to seeing more of the fill in the blank set! Your projects are wonderful, but I have to say that I’m pretty darn excited about these new dies!! Those bows…. the new Noted dies… aaaahhhh!!! 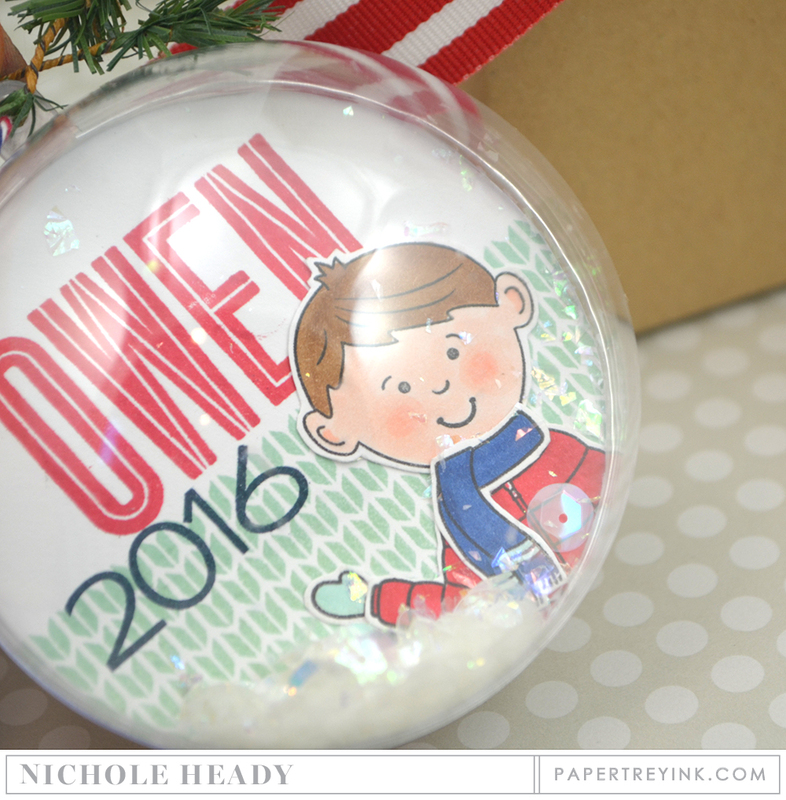 Love the frame die and all the sweet ornament tags! I love the idea but I don’t quite understand. Can you do a video on the magic of that new die? I’m intrigued by he Fill In The Blanks stamp and dies. I have purchased all the Dress Up Dolls so far and I can’t wait to get this one! It’s so nice to have a company that gives us some great stamps and dies for an economical price. For those of us on a tight budget it really helps! Those dress up dolls rock! Another great release. Awesome projects! Love how you used the pom poms! 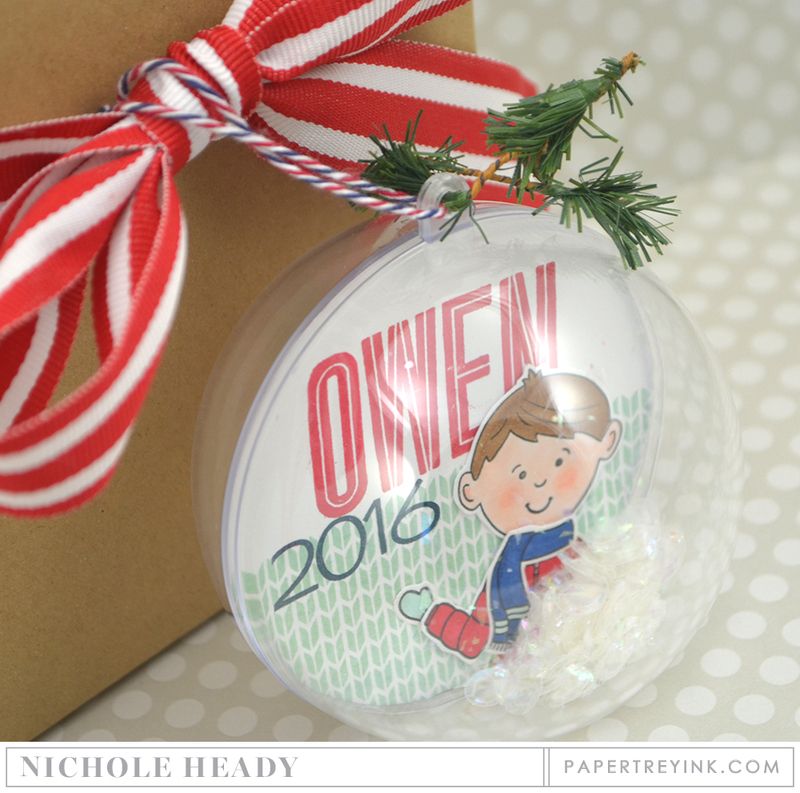 Nichole–I love your ornament/gift tag–that is the cutest idea ever! Great start for this months release. OMG….so much inspiration! Love the paper dolls…what a clever way to create hanging “snowballs”. The snow globe gift tag is such a great idea. What child doesn’t like to see their name on a gift. So cute. Can’t wait to see more samples. Really like all of Betsy’s Dress Up Dolls ideas. Love the present you made with the new Fill In The Blank stamp set! Can’t wait to see more about the bow, too! It looks awesome!! Lots of cute stuff this month! I really like Fill in the Blank! As usual all the projects are beautiful. Love the personalized ornament. The dress up dolls are so cute! 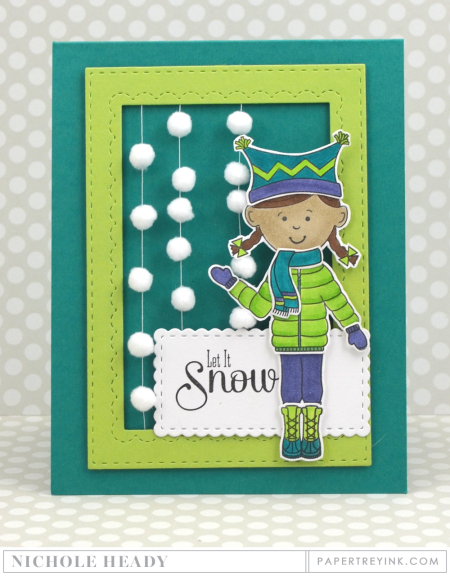 Love those fun frames, and the snowball card is so adorable!! I really like the Fill in the Blank set. Lots of possibilities! I love the big gift die and the way it fills the card front. It’s going to be a great release; I can tell!!! I’m excited to see more uses for the frames and Fill in the Blank! And the dolls shoveling snowflakes is adorable. Love the new Splits sets and the word backgrounds. The dress up dolls are just too adorable! Love all the FUN projects from the Design Team! What darling cards. I love the personalized ornaments. Very cute stamps, but what I really love today are the clever strings of snowballs on the little girl card! The Winter Fun dress-up dolls card is both adorable and pretty, with those unexpected colors! The fill in the blank dies are awesome! I don’t have the dolls set, but these outfits are sure the cutest! 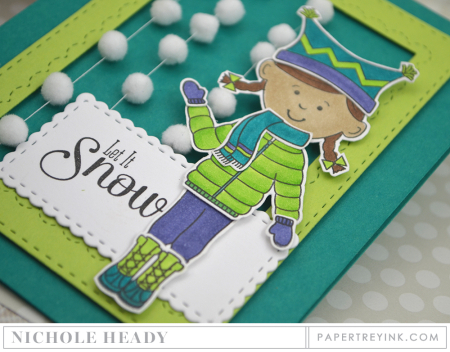 I absolutely love your Let It Snow card! The colors are very striking. Fill in the Blanks looks terrific! Oh my goodness! I’m looking forward to fill in the blank, looks like one for my cart. The fill in the blank dies will be awesome, another amazing release! Oh my gosh, such fun things, love too many of ’em! Especially the Fill in the Blanks stamps and dies. Luv all this stuff, especially the winter dress up dolls & fill in the blank collection. The fill in the blank set is really clever. What a great way to make some quick cards.